Away from the techno they’ve produced for labels including Cocoon and their own Elevate imprint, Pig&Dan have created an album honouring the musicians and singers they’ve met and who’ve inspired them throughout their career. The album entitled ‘Destination Unknown’ holds no boundaries, fusing together genres and styles far beyond electronic music’s own (increasingly broad) spectrum. 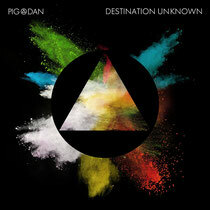 Released on John Digweed’s Bedrock label, ‘Destination Unknown' breaks out from Pig&Dan’s roots and pushes their personal envelope of influences to a wider audience who may not have been exposed to downtempo, funk and the (almost) anything goes philosophy of Balearic music. One of the main instigators of this trip Malcolm ‘Molly’ Duncan, father of Dan and founder of the legendary soul group, The Average White band, was a massive part of encouraging the evolution of this project. Other members of the musical family include California-born singer/lyricist, Glen Anthony Henry AKA ‘Ageel’, funk guitar guru, Tim Cansfield, cultural hip hop master, Jamie Reixach AKA “Giacomo”, reggae vocalist Paul De Swardt, Soul Camp founder, Werner Niedermeier, Spanish jazz's Jaime Rosello aka Ruspei, and Grammy winning soundtrack guitarist Joan Bibiloni. After a chance meeting on a flight in 1999, Pig&Dan joined forces to combine their interest in music production. Thus began a prolific production schedule with 18 releases in the first year, establishing their reputation as producers of pulsating electronic music. In 2003, they launched their first label, Submission, and a sound that would attract Cocoon Recordings. After releasing ‘Oh Yeah’ they followed up with eight more releases on the Frankfurt imprint, including their own artist album, ‘Imagine’. After this they continued to build their profile by collaborating with electronic music artists such as Underworld and Monika Kruse, plus remixing Deadmau5 and Paul Kalkbrenner. Recently the duo launched a new digital and vinyl imprint titled Elevate.